Design professional documents with the built in HTML text editor. 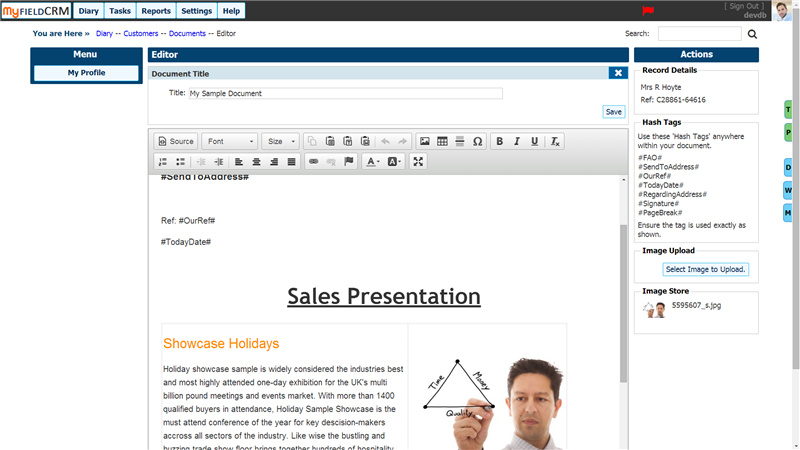 Drag and drop pictures directly in to your document for a strong visual impact. Automatically include company stationary, customer address details and document references. Create Online documents and convert to PDF. Include letter head stationary and customer details embedded within the document. Your signature can also be automatically embedded within the document body. Images can be uploaded and used anywhere within your document simply by dragging and dropping the image on to the body of your document. 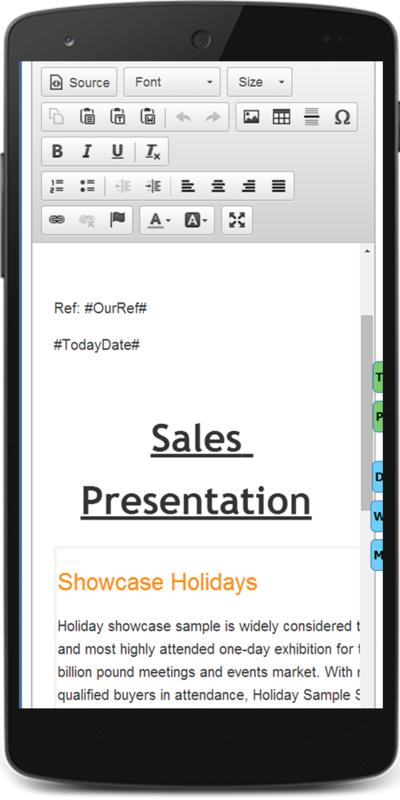 Upload images directly to My Field CRM for use within your documents or presentation leaflets. Once uploaded in to the system, you can drag and drop the images on to your document. By using a table layout, a more precice level of positioning is possible. Images can be re-sized for precise location and word wrap capabilities. 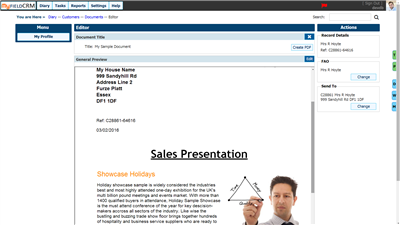 Preview your document before creating a PDF, the online preview function allows an accurate representation of your document including company letter head stationary and document references. 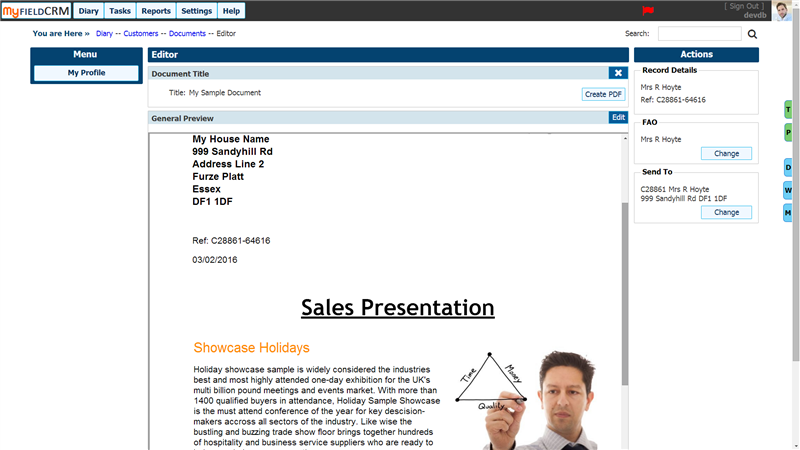 The customer or supplier address details will also be included within the document preview. Address details and FAO information can be set to reference another address for situation where you may be creating documentation to be sent to a main contractor, but regarding a particular customer.